The Lifeboat Inn01485 512236work RestaurantThe Lifeboat Inn’s restaurant offers a variety of places and cosy corners with roaring fires, comfy sofas to dine or simply have a drink and unwind. Whether you prefer to dine in our history-soaked bar, spacious, bright conservatory or relaxed dining room, we're as passionate about the quality of our food as we are about its provenance. With some of the UK's best local producers on our doorstep, we're proud to be able to showcase locally-reared meats, freshly caught fish and Norfolk grown vegetables on our comprehensive, home-cooked menu. From delicious, set-you-up-for-the-day hearty breakfasts, to traditional lunchtime or evening meals like fish and chips, country pates, ploughman's platters, crisp salads, hearty soups and stews and the best Sunday roasts, rest assured that each and every dish is sourced, prepared and cooked with provenance in mind, from field, sea or river to fork. All our breads are baked daily in our kitchen ovens; as are our indulgent desserts, even the ice-cream. Looking for a unique setting for a group gathering, celebration or party? Our charming courtyard with two cedar wood pavilions offers one of the best al fresco dining experiences on the north Norfolk coast. The Lifeboat Inn’s restaurant offers a variety of places and cosy corners with roaring fires, comfy sofas to dine or simply have a drink and unwind. Whether you prefer to dine in our history-soaked bar, spacious, bright conservatory or relaxed dining room, we're as passionate about the quality of our food as we are about its provenance. We serve food all day every day from 12.00 until 21.00. Bar is open daily from 11.00am and our cream tea is also available all day. 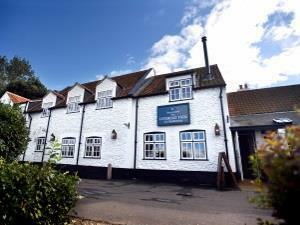 The Lifeboat Inn can be found 4.5 miles from Hunstanton by following the A149 road. When you reach Thornham village look out for a blue The Lifeboat Inn sign indicating to turn right on Staithe Lane.